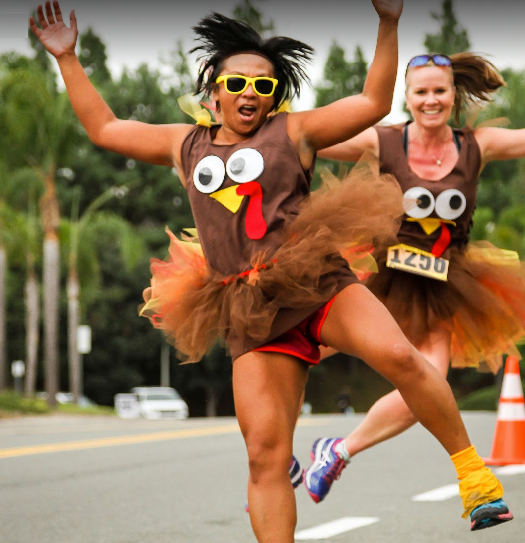 "Run like a beast before you feast"
The 6th Annual San Diego South Bay Turkey Trot is held at Rohr Park in beautiful Bonita, CA. What’s more perfect than a country-feel run in the Fall? Conveniently located just 15 minutes South of Mission Valley off I-805, 15 minutes from the East County and 25 minutes south of La Jolla. Easy access and easy parking. Great after party with awards, food and prizes. Feeding those less fortunate on Thanksgiving: We are on a mission to make sure no one goes hungry on Thanksgiving. Bring a non-perishable food item to bib pick up or on race day and help those who cannot help themselves. You can make a difference! One complete loop around Rohr Park. This course staying mostly on a wide, hard-packed dirt path around the park. A great distance for kids, stollers and walkers. Course is relatively flat and easy for a fast PR for all those who want to run! Choose to run or walk... just have a great time. Travels clockwise, 1/2 way around Rohr Park then (left) up Otay Lakes Rd for approximately 2 miles, then a right turn on Avenida Del Rey. U-turn to head back down Otay Lakes Rd for a fast downhill finish around Rohr Park to continue clockwise around the park to the finish. travels clockwise, 1/2 way around Rohr Park then (left) up Otay Lakes Rd for approximately 2 miles, then a right turn on Avenida Del Rey with a left on N. Rancho Del Rey Pkwy, then a right turn on to a beautiful hard-packed dirt road for 1.5 miles through a scenic canyon, then (right) on Rancho Del Rey Pkwy for 1.5 miles, (left) on Avenida Del Rey, then (left) on Otay Lakes Rd for a fast downhill finish around Rohr Park to continue clockwise around the park to the finish.